Reporting to the Manager of HRIS, the HRIS Systems & Business Analyst supports the data and business needs of the Department of Human Resources and University community through the management and reporting of personnel data and employee records. As part of the HRIS & Data Management team, this position serves as a functional resource for HR enterprise-wide system implementations, operating complex HR module(s), configuring data values, and ensuring overall HR data quality. This position also serves as a lead for various HRIS and related projects. Perform business analysis, create business process flows and perform process improvement (e.g. LEAN). Ensure HR data monitoring, quality and consistency, including the configuration and maintenance of HR data values in the PeopleSoft Human Capital Management (HCM) system and/or in specific modules, e.g. job codes, departments, compensation eligibility requirements, and related configuration table(s); and may include the configuration and/or maintenance of HR data dictionary elements. Participate in system implementation activities including but not limited to testing, validation, and training.Resolve issues during and after implementation of systems, and lead testing and validation activities.Examples are PeopleSoft HCM Core-CT HRMS implementation and the related HR Data Mart. Coordinate, oversee and/or execute a multitude of HR processing and mass processing activities, such as Mass Salary Increases, Service Time & Longevity Pay; ensure compliance with the associated mandates for such processes, e.g. state statutes and/or union contract language.Gather and interpret data from multiple sources, including statutes, union contracts and conferring with statewide and/or internal constituents. Act as a visible and professional liaison between HR and constituents; serves as a primary resource for senior leadership, executives as well as faculty and staff, and provides prompt and professional customer support. Lead various HRIS and/or related projects, and provide assignments and supervision of student and temporary employees, as needed.Independently carries out the project tasks in accordance with project plans and timelines, periodically providing updates and incorporating supervisor’s advice on project strategy and work specifics. Perform data reporting, manipulation, and analysis, utilizing Data Mart(s) and/or business intelligence (BI) tools, queries, or other available reporting solutions using tools such as IBI WebFocus, PeopleSoft EPM Query, Microsoft Excel, and (Oracle Business Intelligence Enterprise Edition) OBIEE; frequently for the purposes of confidential collective bargaining strategies or negotiations. Cross Functional reporting is common, such as between Payroll, student, and financial data; and reporting can involve merging legacy and current data sources. A Bachelor's degree and 4 years of experience; or equivalent combination of education/professional training and/or experience. Experience with a Human Capital Management (HCM) Enterprise Resource Planning (ERP) system or similar (e.g. PeopleSoft). Strong analytical, facilitation and mentoring skills; attention to detail and excellent verbal and written communication skills. Proficient in Microsoft Excel; specifically with experience manipulating and analyzing data in spreadsheets. Experience producing reports or spreadsheets/analyses in a clear and concise format. Experience leading projects and/or staff. Experience collecting and documenting requirements (e.g. Fit-Gap). Ability to abide by rules of confidentiality, as this position deals with both confidential data and internal Human Resources knowledge. Experience with testing and validation of data or results. Ability to present/train users in hands-on, group, and/or one on one settings. Experience with advanced Excel Functionality, such as Pivot Tables and Vlookups. Proficient in Microsoft Office Tools such as Visio, Word, & PowerPoint. Functional Experience with data conversion, integration, and/or transformation activities. Experience with data definitions/data dictionary and/or metadata. Experience with configuring data values in systems. Experience producing reports utilizing a reporting or business intelligence tool, such as IBI Webfocus, PeopleSoft EPM Query, SQL, Oracle OBIEE or similar. Knowledge of Human Resources Disciplines. Knowledge and/or experience in state or federal government and/or knowledge and/or experience in higher education/academia. Understanding of government mandates regarding compliance and privacy issues, e.g. Freedom of Information, FERPA. This is a full-time, 40 hour workweek, position based in Storrs and includes a full benefits package and competitive salary. 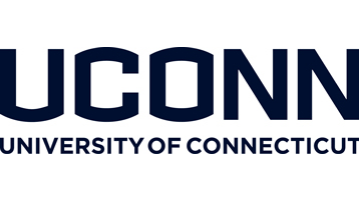 Please apply online at UConn Jobs (www.jobs.uconn.edu), Staff Positions, Search #2019366. Interested candidates should submit a letter of application, resume, and the names and contact information of three professional references. This job posting is scheduled to be removed at 11:59 p.m. Eastern time on March 17, 2019.